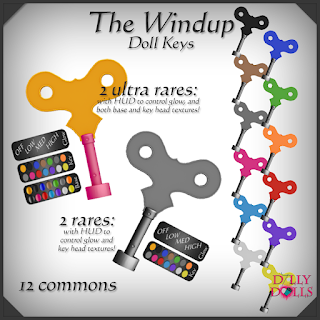 Just wanted to do a quick release post about a re-release of my Windup doll keys! They have been redesigned and remeshed, as well as retextured! Pop on into the shop, and play for only L$25! One of each rares is a decorative key, and the other is an interactive key with the custom windup/down!